A version of this post first appeared atÂ Competency Works.Â You can read the original post here. For years I wielded my grade book like a weapon. Donâ€™t want to complete that organizer onÂ Romeo and Juliet? Zero. Oh, talking in class instead of completing that worksheet? Zero. Thatâ€™ll show you, right? All I had were students with long lines of zeroes, poor or failing grades and, I am sure, resentment. I also had students who were excelling on state standardized testing. More than 90% of my kids were proficient or higher. Yet more than 90% of my kids were not receiving As and Bs in my class. When I started collecting data, I began to understand my results. More than 90% of my students completed less than 43% of assigned homework. I asked my colleagues what they thought the issue was. Laziness was the top contender. Apathy was another. Some told me kids just donâ€™t care anymore. I play sports and only have an hour to get work done before practices and games. I work with a family member to make some money so my mom (or dad) can pay bills. I donâ€™t understand it, and no one is home to help me. I donâ€™t see the point of finishing it. I know how to do it. I knew I had to make changes, and the biggest change was philosophical: if the purpose of homework was to help students practice skills and develop responsibility, they needed a partner, not a taskmaster, for a teacher. Along with a shift in mindset, three practical changes helped me, and my students, use homework more productively. Here are those changes, and some resources to think further about them. The first change I made was how I used class time to involve students in decisions about work. Each day, we have a mini-lesson, we practice the skill or knowledge together, and then students have choices about how to deepen their work. The word â€œhomeworkâ€ and all its negative connotations have been eradicated. Instead, we look at our learning goals, and I help the students plan out how they will complete that work – both in class and at home. For practice, the room has three distinct areas: desks in an L-shape where students can sit and work alone; a small grouping in the middle where students can meet up with one another and get help; another grouping of desks where students can go to sit with me and get more intensive help. The groups are fluid and students make decisions about moving between them based on their needs. The biggest reason students didnâ€™t complete my work was that they didnâ€™t understand it, so we started after-school clinics three days a week where students could come to get help with work if there wasnâ€™t enough time or opportunity during class. The rate of return for student work is nearly 100% now. When students understand the purpose of the work, they also understandÂ whyÂ they need to do it. When they understand why, they can make informed decisions. All of the work in our class is labeled and defined: practice, summative, reading skills, inquiry, etc. When it comes to practice work, students decide when and how much. Some work is assigned for practice purposes and some students choose not to do it. It is, after all, practice, and if they donâ€™t need the practice, then why should they do it? Itâ€™s my job to help them see the value. 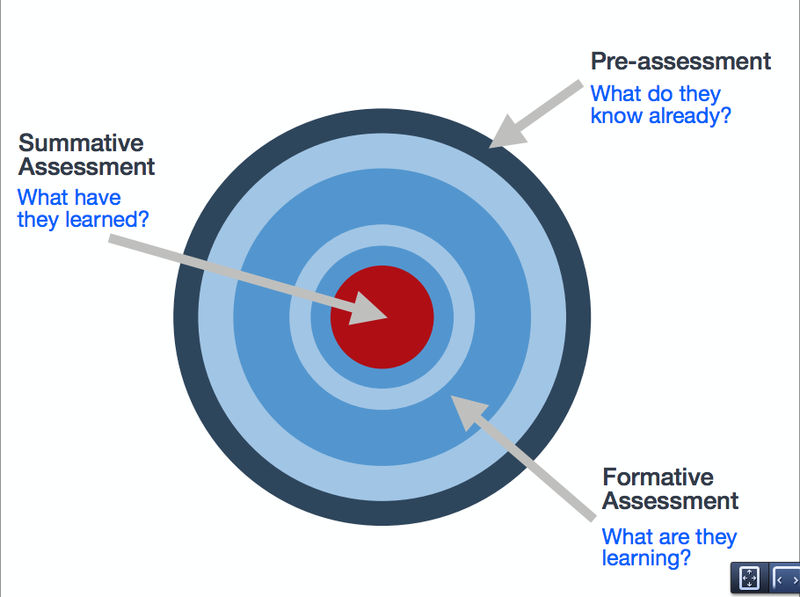 All practice work is tied to a summative assessment. Recently, students in my course were tasked with writing a â€œhow toâ€ manual for finding a characterâ€™s motivation or finding the theme of a narrative. We had several activities that were practice. Students were able to use the activities to find their own system for uncovering these skills. Some students completed the summative assessment successfully without doing all of the practice work. When students weren’t successful on the summative, there was almost always a clear set of practice activities either not completed or needing review to help them be successful. When they come to the after-school clinic, we conference about their grade on the assignment and we look at their practice work. The first task when revising and redoing is the practice work. When they can make the connections between what they are practicing and their final product, the work becomes meaningful. They see the purpose. And they can see the results of their practice when their work is rescored. A colleague of mine stopped deducting points for late assignments when a student asked him which way she would lose more points: by handing in the paper without the graph she didnâ€™t know how to do or turning it in late. Why should children be put in the position of choosing the learning over the deadline? Students are empowered when they have choices and they are taught to make those choices responsibly. One option in our class is to work on an assessment when you are ready. Part of knowing your personal readiness is self-assessment. Students need to provide evidence that they can be successful, and this is found on all that work they may not have done: the practice activities, the reading, the journal entries. Now the work has meaning as well as purpose. What shifts have you made in your practice to help students connect their goals with homework and practice?